ZAHAL (IDF) Long Sleeve T-Shirt is one of our classic and most selling Long Sleeve T-shirt in the field of IDF. 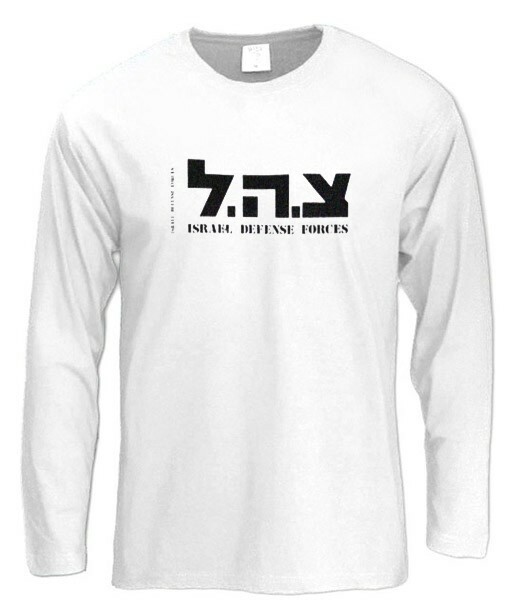 Above - IDF is written in Hebrew and beneath it in English. Made from 100% Courage & Combed-Cotton (High-Quality Cotton) Long Sleeve T-Shirt, unique and hard to find. Our t-shirts are made of 100% cotton and are long lasting with bright colors. Our products are all designed and printed in Israel.